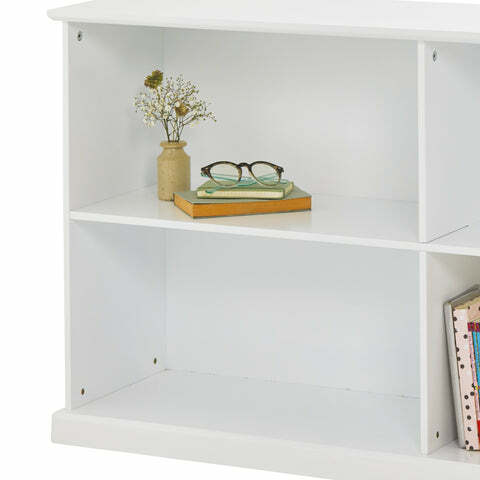 Abbeville Long Shelf, White | Great Little Trading Co.
Find your floor again with our Abbeville storage! It's a reliable workhorse that really stays the distance; you'll even find a home for it when toys are just a distant memory. This long shelf unit offers heaps of storage space; we've kept it at a lower height so that it's easily accessed by children, but the longer length works really well in larger spaces. 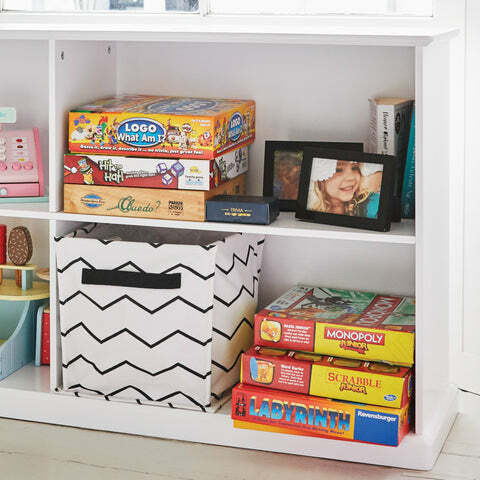 Like all our Abbeville Cube Storage this piece is designed to cope with the demands of family life; it's made from thick MDF with a steadying plinth and a sturdy back panel, then painted with a durable, Bright White finish. In the interests of safety please always use the Anti-Tip Safety Kit supplied. Our wide range of Canvas Storage Cubes bring extra neatness and allow you to create your own unique look; you might also like our Rope Storage Baskets if you're planning to use this piece in family spaces.